BROOMFIELD, Colo. – Beginning Wednesday, Nov. 23, skiers, snowboarders and national park explorers can make the most of their vacation spending this year with savings of up to 45 percent with Vail Resorts and RockResorts. Guests can book their entire vacation through Vail Resorts – from lodging and transportation to equipment rentals, and even time- and money-saving advance purchase tickets and ski school – which leaves more time for what’s important this time of year. Vail Resorts’ annual Cyber Monday sale begins Wednesday, Nov. 23 and lasts through Tuesday, Nov. 29, 2016. Vail, Beaver Creek, Breckenridge, Keystone, Park City, Heavenly, Northstar and Kirkwood; transportation provider Colorado Mountain Express (CME); and RentSkis.com are offering vacation values of up to 45 percent off for winter mountain vacations during this year’s Cyber Monday sale. Grand Teton Lodge Company is also offering savings of more than 30 percent, which means this is the perfect time for adventure seekers to book next summer’s getaway. Some of Vail’s most iconic properties in prime Lionshead and Vail Village locations – The Arrabelle at Vail Square, A RockResort; The Lodge at Vail, A RockResort; The Ritz-Carlton Residences, Vail; and Austria Haus – can be enjoyed for up to 45 percent off when booked during the Cyber Monday sale. Rates start at $195 per night. Beaver Creek boasts the ideal intimate mountain escape and a lodging option to suit any need. Signature properties including The Pines Lodge, A RockResort, which will debut significant room renovations for the winter season; The Osprey at Beaver Creek, A RockResort and a selection of one- to four-bedroom condominiums, townhomes and private homes. Guests who book during the Cyber Monday sale can lock in rates as low as $199 per night or up to 45 percent off. The Keystone Lodge, the Inn at Keystone and a number of Keystone Resort condominiums are available at up to 40 percent off through Vail Resorts’ Cyber Monday sale. With rates starting at just $109 per night, this is an offer fit for the entire family to enjoy winter getaways and celebrations all season long. The values don’t end there, though. With Keystone’s Kids Ski Free program for families who book two or more nights at Keystone Resort accommodations, kids 12 and under will ski or snowboard for free! With convenient access to both historic Main Street and the lifts of Breckenridge Ski Resort, the Village Hotel and the Village at Breckenridge are the epitome of “location, location, location!” Value-oriented skiers and snowboarders can enjoy one of the world’s most popular ski resorts this winter with lodging up to 25 percent off and rates starting at $127 per night. Guests of these properties, and other official Breckenridge lodging, including DoubleTree by Hilton Hotel Breckenridge, Mountain Thunder Lodge and One Ski Hill Place, A RockResort, can also access the mountain one hour before it opens to the general public on select “First Tracks” mornings from mid-December through the end of March. 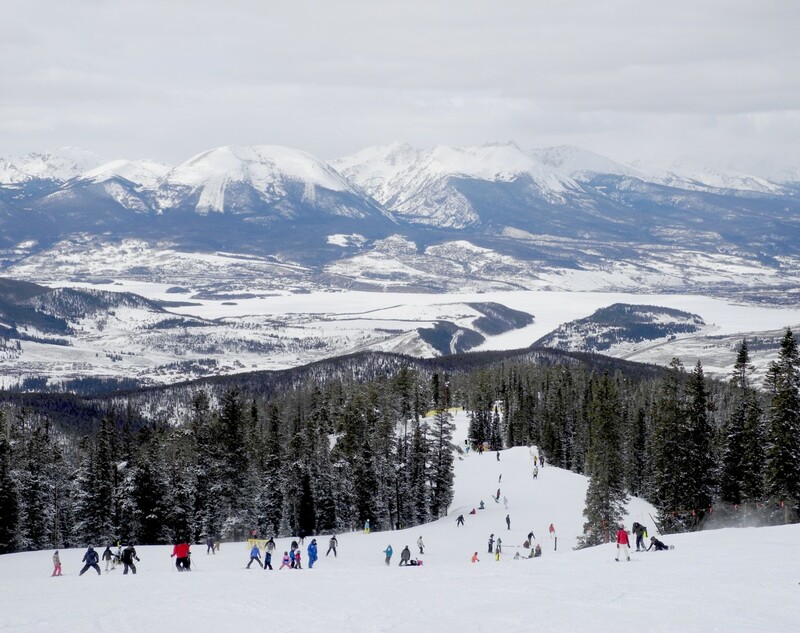 With 20 percent off shared door-to-door shuttle services from Denver International Airport and Eagle Airport, there’s no better way to get to Keystone, Breckenridge, Vail or Beaver Creek this winter. Prices start at $41 one way. Let the experienced professionals take care of the mountain driving and enjoy complimentary Wi-Fi on board. This winter, guests can experience more than 7,300 acres of skiable terrain with the recent linking of Park City and Canyons to form the largest ski resort in the United States. Save up to 40 percent when booking a stay at Grand Summit Hotel, DoubleTree by Hilton Hotel Park City, Sundial Lodge and Silverado Lodge this winter. Rates start at just $121 per night. Get the best of Lake Tahoe with the best prices on lodging during the Cyber Monday sale with savings of up to 45 percent in Heavenly, Northstar and Kirkwood. Rates start at just $95 at Kirkwood, $125 at Northstar and $139 at Heavenly. With more than 90 retail shops at the country’s premier ski resorts, RentSkis.com is North America’s largest rental equipment provider. With Cyber Monday savings of up to 20 percent on ski and snowboard rentals, there’s no better time to reserve rental equipment. All locations are slopeside or located within many lodging properties, so equipment pickup is easy. Even easier is RentSkis.com’s complimentary rental delivery service to your hotel or condo. Experience summer in spectacular Grand Teton National Park with a stay through Grand Teton Lodge Company at Jackson Lake Lodge or Jenny Lake Lodge. Rates on Classic Cottages at Jackson Lake Lodge start at $221 per night for select nights throughout the summer. Visit www.snow.com/CyberMonday to book now or learn more. These deals can be booked beginning at 12:01 a.m. MST on Wednesday, Nov. 23, 2016 and will expire at 11:59 p.m. MST on Tuesday, Nov. 29, 2016. Other restrictions may apply. Advance purchase lift tickets and lessons are also available through www.snow.com, saving time at the resorts and offering the guaranteed best price.